Please tell us about your new release, Accidental Romance. First of all, thank you so much for having me on your blog, Alicia! It is a pleasure to be here. Challenge: A test of one’s abilities or resources in a demanding but stimulating undertaking. In every life, there are challenges, boulders in the flowing stream of existence. From the physical, to the psychological or emotional, nobody is immune. No one gets through life intact, but the challenge is not to avoid damage, but to work through, past or around the things that make life so difficult. We all know people who do this—live fulfilling lives in spite of the difficulties they are forced to deal with. The Challenge series is about characters who do just this—and the people who love them. Challenge is a romance series with a twist. The “challenge” takes a central role in the characters’ romance. Sounds fascinating. I love the premise of the series. Very unique. For me, it’s not so much getting rid of anything, but keeping my mind focused. If I have something else that I’m supposed to do, whether or not I have to do it right away, it’s hard to stay focused on writing my stories. Once I get a certain amount of housework or promo done, I am able to focus better on my writing. I understand. It’s almost like you have to declutter your mind a bit. What do you want readers to come away with after they read Accidental Romance? As with any of my romance stories, I want readers to feel happy after they’ve finished reading them. And in Accidental Romance, I want people to know that life is full of challenges. If we remain determined to overcome them, we may just find our happily ever after. Oh, I love to read young adult novels, and want to write one, but I worry about writing in first person. That is a struggle for me. I once read a book in second person, and I totally admire the author for writing an amazing story, but that’s one POV, I don’t want to try. I am not a fan of second person. Not all YA’s have to be first person, though. You should give it a shot. What celebrity would you most like to be stranded on an island with? That’s an easy one. Will Smith. Not only does he seem like such an awesome person, but he’ll know how to survive. He’s proved it in many of the movies he’s been in, including I Am Legend, and the upcoming release, After Earth. 🙂 Glad there was some logic in your decision, but then, since you like sci-fi, I guess logic is a given. Movie – Star Trek (2009) though there are some great Sci-Fi movies releasing this year that may take it’s place. Place you’ve visited – Any place with a waterfall. TV show from adulthood – What is Jeopardy? Which do you prefer: Board games/card games or television? I don’t watch a lot of television, even though it’s often on as background noise. So, I guess that would be board games. Especially the classic ones. As a child, we used to play Aleeo, which is kind of like Trouble, but on a big wooden board, and with marbles. Thank you again for joining me, Jessica, and for letting us get to know you better. At twenty-two, Leanne Declan has graduated from college and hopes to take over the family farm until a tragic accident changes her life forever. Unable to do the simplest everyday chores, she must depend on her family and friends as she learns to face life’s challenges. 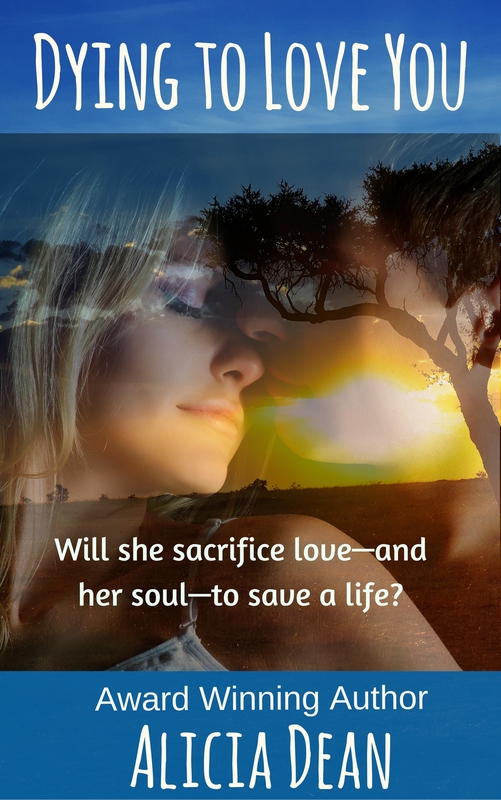 But when her fears threaten to destroy her future, can an unexpected love be strong enough to help her dreams come true? A million needles pierced her wrist. She had to get away from the fire. Leanne flicked open her eyes, screaming, longing for the agony to stop. White walls surrounded her. Machines beeped. Taking in the new scenery, she closed her mouth, the pain forgotten. Bags filled with clear liquids as well as blood hung from a metal pole. She followed the tubes from the bags into her left hand. Was that where the burn came from? She glanced at the other arm, the end of which was wrapped in thick bandages. The image of spinning blades and her mangled flesh flashed before her eyes. She screamed again, tears falling down her cheeks. This can’t be happening. Bodies rushed into the room, many in scrubs. With her vision blurred, she didn’t recognize anyone. All strangers. She was in the foreign place by herself. A nightmare. Has to be. A familiar voice. She glanced to her other side to see her mom standing beside her, her eyes glassy. She held her hand, but Leanne couldn’t feel it, only the throbbing which had returned to her other one, the one that was…gone? She groaned, turning on her side, and pulled her knees up to her chest. “Ten.” She sucked in air and cried out in agony. The throbbing slowly ebbed away. Seven. Darkness swept over her and pulled her down with it. Wow…very vivid, very intense. Definitely leaves me wanting more. Great job! Thank you so much for having me on your blog, Alicia! I’d like to offer Accidental Romance swag to one lucky commenter. I will draw the winner on February 5th. Contest is international. Good luck! I’m in love with Will Smith! He is the best and I never miss anything he does. Accidental Romance is on my TBR list. Can’t wait to read it, Jess. Will Smith rocks! Loved him since Fresh Prince days. Thanks, Kacey! I watch Fresh Prince w/ my kids often. I miss that kind of tv. Accidental Romance sounds powerful. What a great opportunity to showcase strength and determination. Going on my TBR pile. Thank you, Lynn! Yes, she has a lot to overcome after losing her hand. What a great concept for a series! I’m not usually a fan of category/series romances, but this one does intrigue me! Accidental Romance sounds terrific. First movie I saw Wil Smith in was Independence Day. Loved him! Much success with Accidental Romance. I love that you are introducing this new line! Go you!